that goes to a 7-pin socket on the rear of the case. 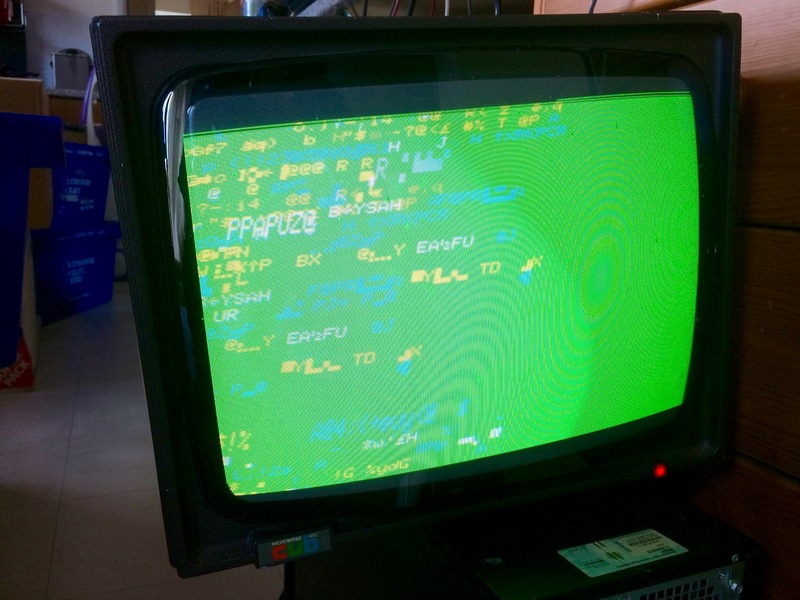 into an old Microvitec CUB monitor, the workhorse of the BBC Micro. correct, and it's scrolling in the same way. all 4116-2 so one of them could be bad as well. But there my knowledge ends. > OK... The TDA1180 is the horizontal oscillator, etc, IC. It's well-known. That's the pot I replaced, it goes through a 22ohm resistor. also seems to affect the contrast. connect up everything without risk of breakage. > flyback signal from the horizontal output stage.